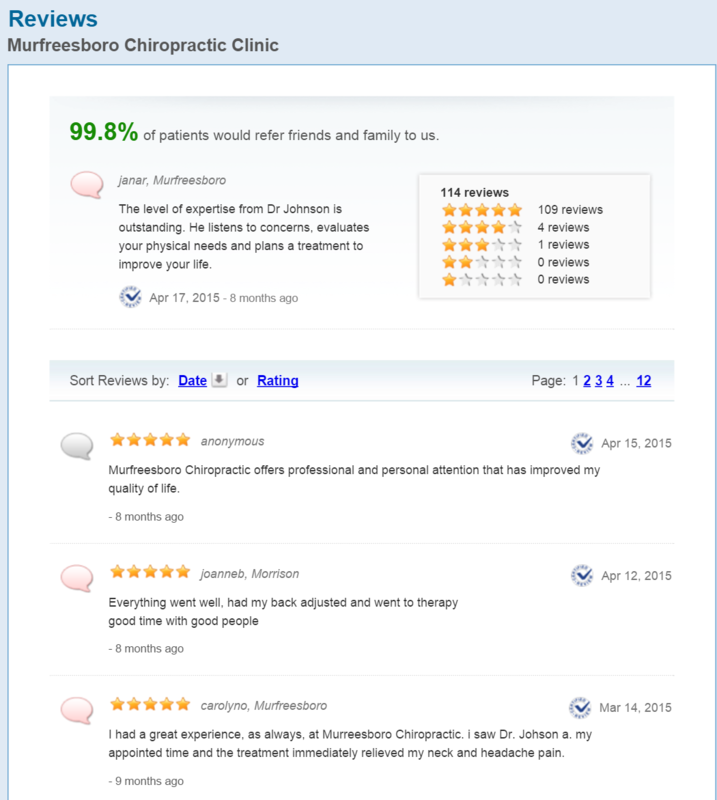 We value our patients' experience at Murfreesboro Chiropractic Clinic. If you are currently a chiropractic patient, please feel free to complete the following Client Experience Questionnaire. The Questionnaire is in Adobe Acrobat format, and requires the free Acrobat Reader to view. "Dr. Johnson always cures my headaches and fixes my jaws when they get out of line. Couldn't live without him!" 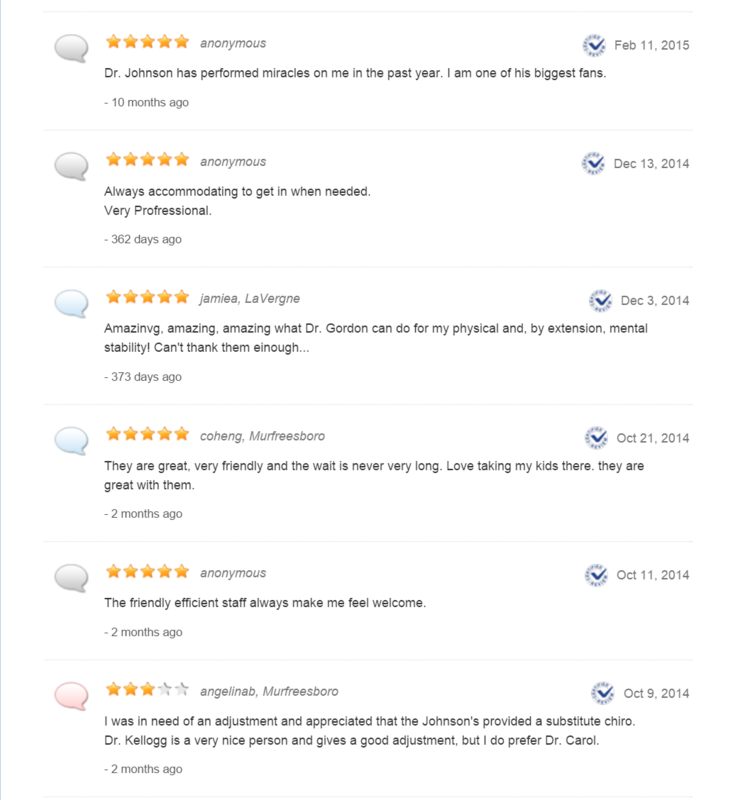 "When my wife went for her adjustment, she mentioned my left wrist having problems with it. I had been to an orthopedic doctor who took x-rays and ordered an MRI and Arthogram. Nothing was found so the next step was a scope. Dr. Johnson took the time to look at my wrist, and he found that the bone in my wrist was out of place. He fixed the problem and pain I was having by "popping" the bone back into place. This was my introduction into believing in the power of natural medicine and those who practice it. I received no prescriptions, which I obviously didn't need anyway, but I really appreciated the help that I received from Dr. Johnson. Thank you!" "These guys know what they do."